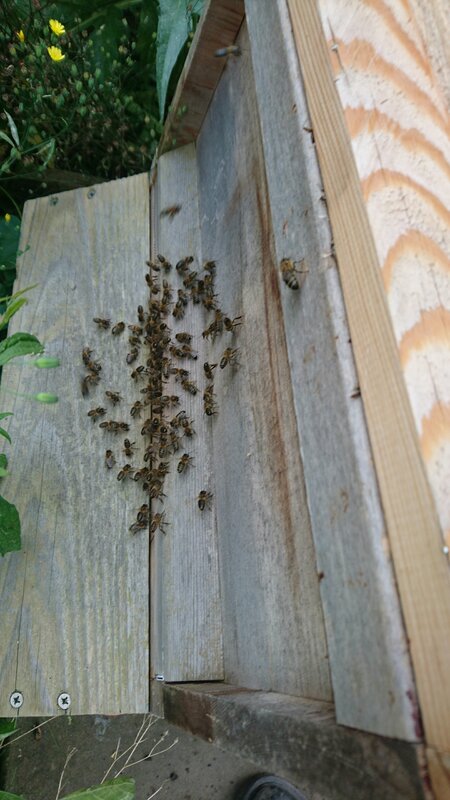 Last Sunday was the final bee check of the summer. I am not sure what we are going to do on a Sunday afternoon now! We removed the feeder now after two weeks. 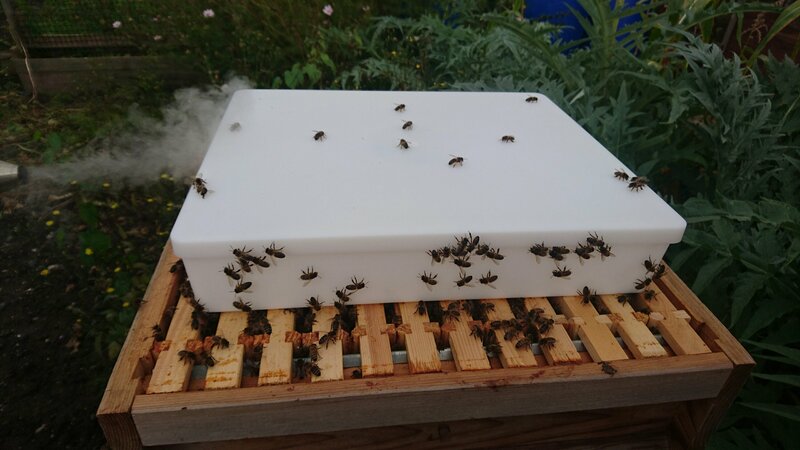 The feeder fills a super and is designed to allow the bees access to the sugar water without drowning (which they are liable to do in any water body). The sugar water is made by mixing sugar into water at a ratio of 2:1. 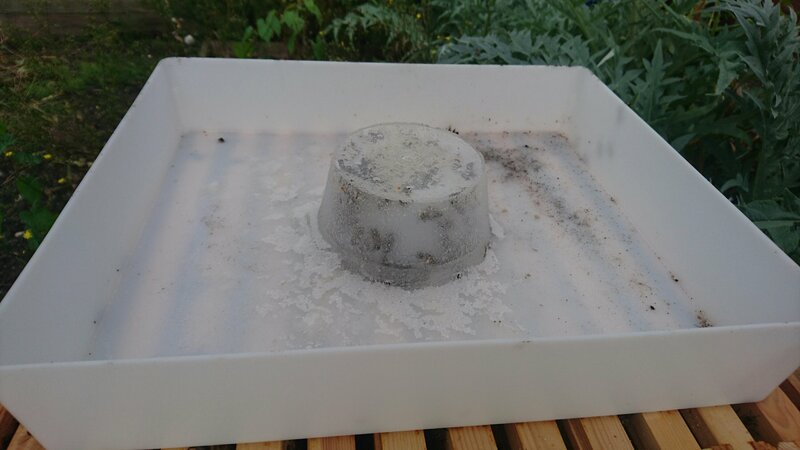 Each feeder holds 5l and each hive has gone through 10l of sugar water! According to Steve, every hive requires about 20kg of honey to survive the winter. As the season ends, the drones (males) are expelled and the remaining female workers hunker down for the winter with the Queen. 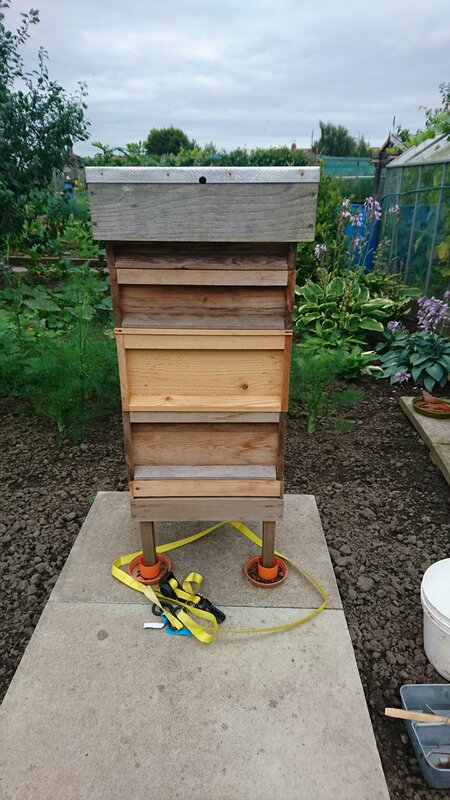 Steve and Phil have put a square of carpet on the top of the hive to help keep the heat in the hive. 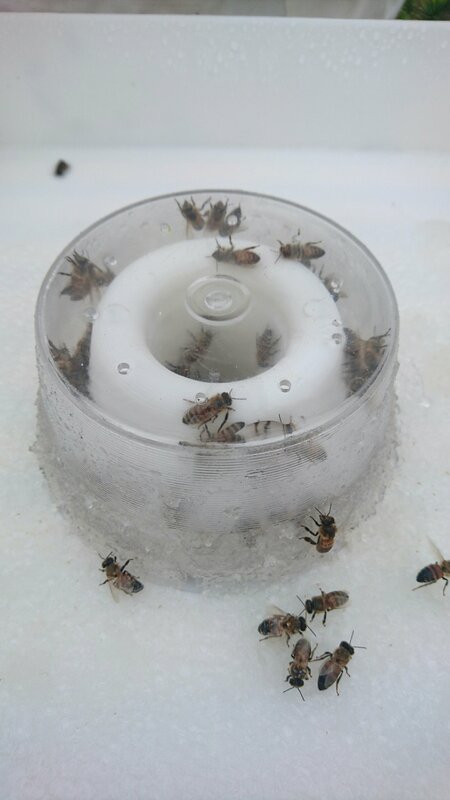 Bees require the hive to maintain a specific temperature of between 31-34 degrees Celsius through the winter you ensure the colony survives. Some people wrap their hives with bubble wrap to help keep the heat in! Over the winter Steve is building another two hives ready to split both colonies in the spring. I am really looking forward to spring!